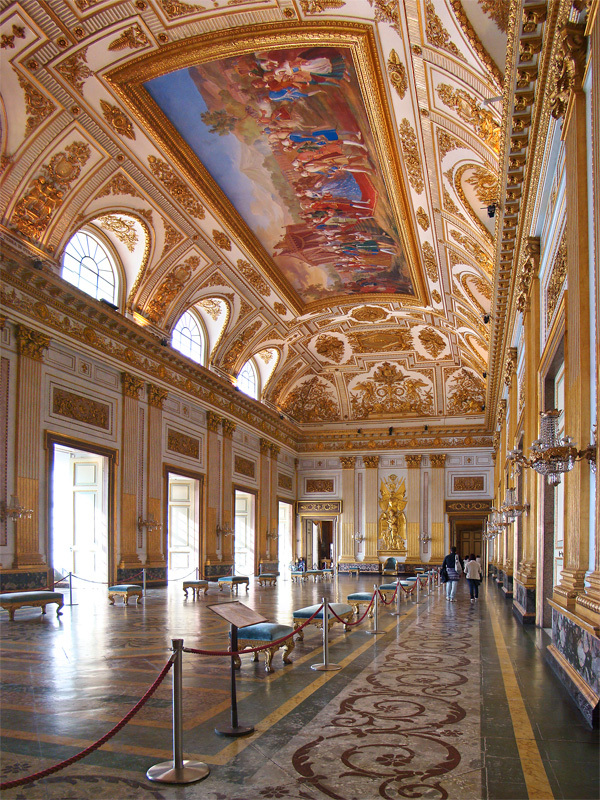 The Royal Palace of Caserta is the largest royal residence in the world declared by the UNESCO World Heritage Site. The Royal Palace of Caserta is a former royal residence in Caserta, southern Italy, constructed for the Bourbon kings of Naples. It is one of the largest palaces erected in Europe during the 18th century. 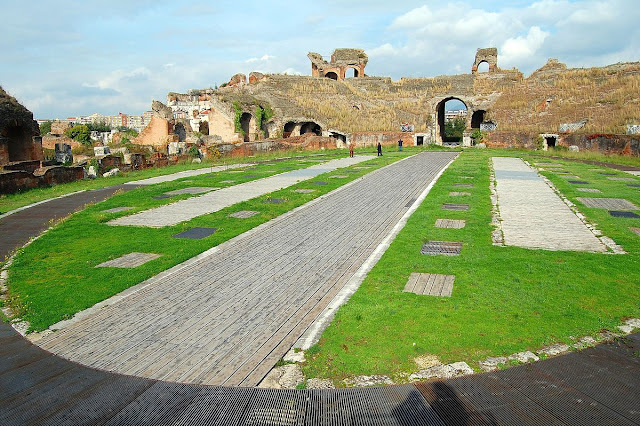 In 1997, the palace was designated a UNESCO World Heritage Site. Its nomination described it as "the swan song of the spectacular art of the Baroque, from which it adopted all the features needed to create the illusions of multidirectional space". 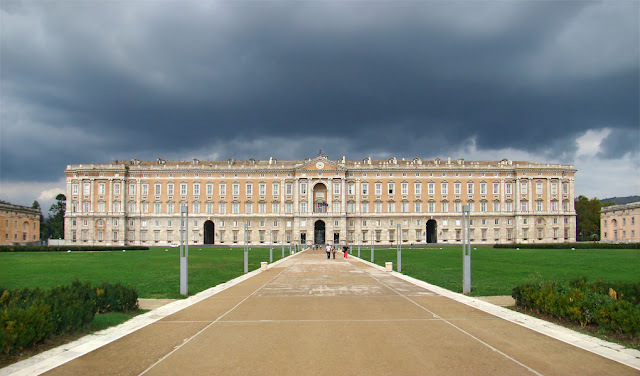 In terms of volume, the Royal Palace of Caserta is the largest royal residence in the world with over 2 million m³ and covering an area of about 235,000 m². 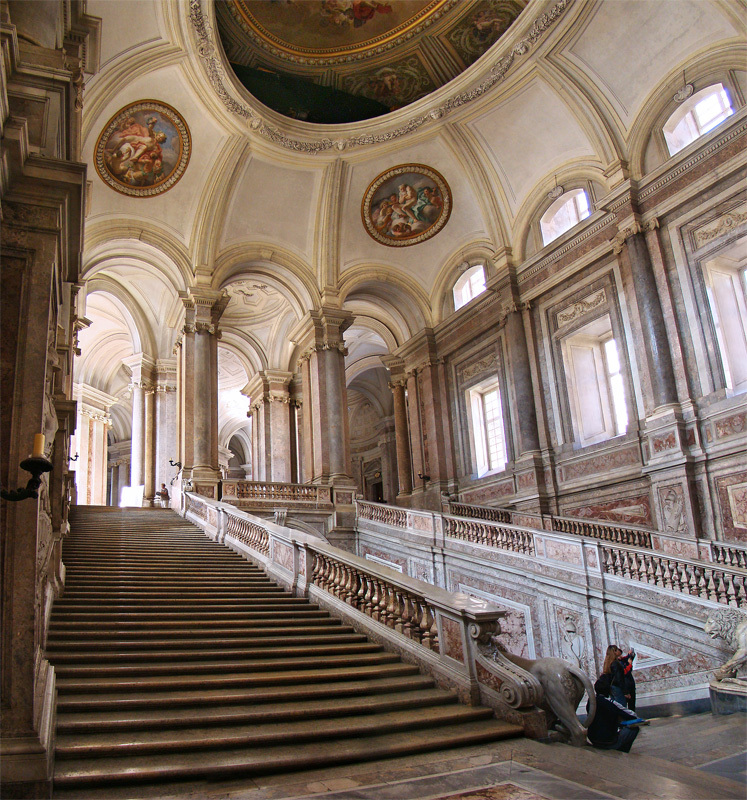 The Royal Palace of Caserta. The garden, a typical example of the baroque extension of formal vistas, stretches for 120 ha, partly on hilly terrain. 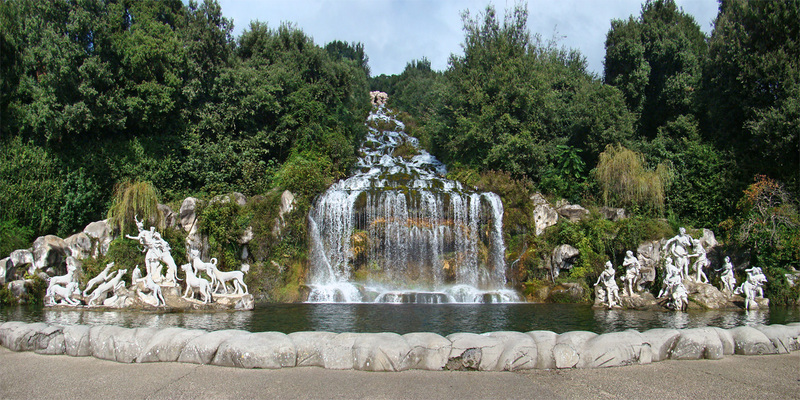 It is also inspired by the park of Versailles. The park starts from the back façade of the palace, flanking a long alley with artificial fountains and cascades. There is a botanical garden, called "The English Garden", in the upper part designed in the 1780s by Carlo Vanvitelli and the German-born botanist, nurseryman, plantsman-designer, John Graefer, trained in London and recommended to Sir William Hamilton by Sir Joseph Banks. It is an early Continental example of an "English garden" in the svelte naturalistic taste of Capability Brown.